← Sydney! Sun, Fun, Harbours and Lights. A city so beautiful and filled with delights. In a large saute pan over medium heat, fry off bacon until slightly crisp. 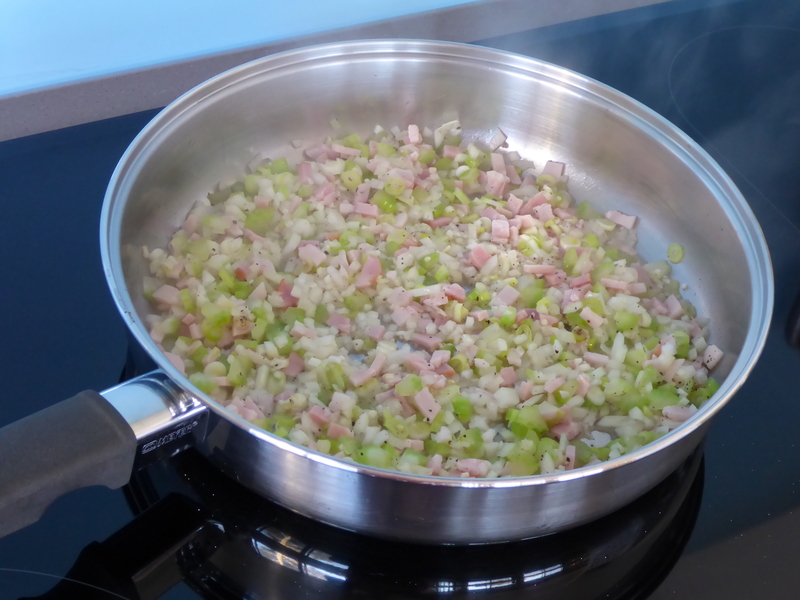 Add onion, whites of the spring onion, and celery (adding a small amount of olive oil if needed) and cook through until vegetables have softened (5-10 minutes). 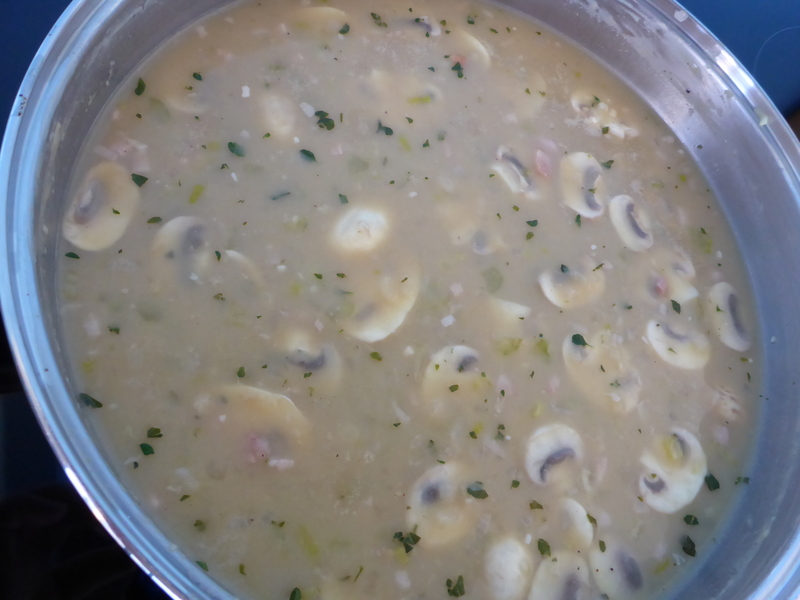 Add mushrooms and garlic and continue to saute until mushrooms soften slightly. Season with pepper, add the flour and stir through, add mustard, paprika and Worcestershire sauce stirring again to combine and cook for 1-2 minutes. Slowly add chicken stock and white wine, whisking out any lumps before bringing to the boil. Reduce heat and simmer until sauce reduces and thickens (about 10-15 minutes, stirring occasionally). Add the spring onion tops, celery leaves, thyme, parsley and bay leaf. Simmer for a further 15 minutes before adding the cream, chicken and peas. At this stage check for seasoning and add salt and pepper to taste. Cook for a further 10 minutes or until the peas and chicken are warmed through. If the sauce becomes too thick add a little more chicken stock and stir through. 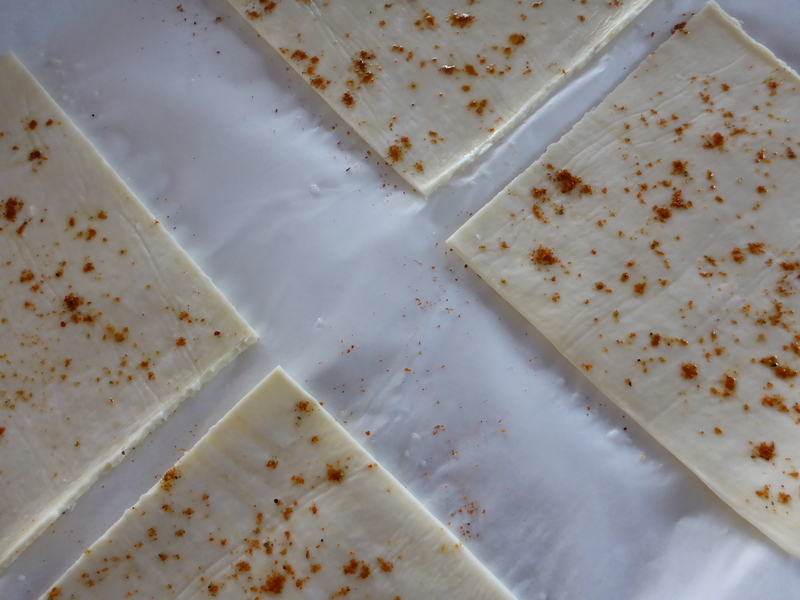 In the meantime place the 4 squares of puff pastry on a lined baking sheet (lined with baking paper). Using a pastry brush, brush the pastry with milk and sprinkle with extra paprika. Bake for 15 – 20 minutes until puffed and golden. 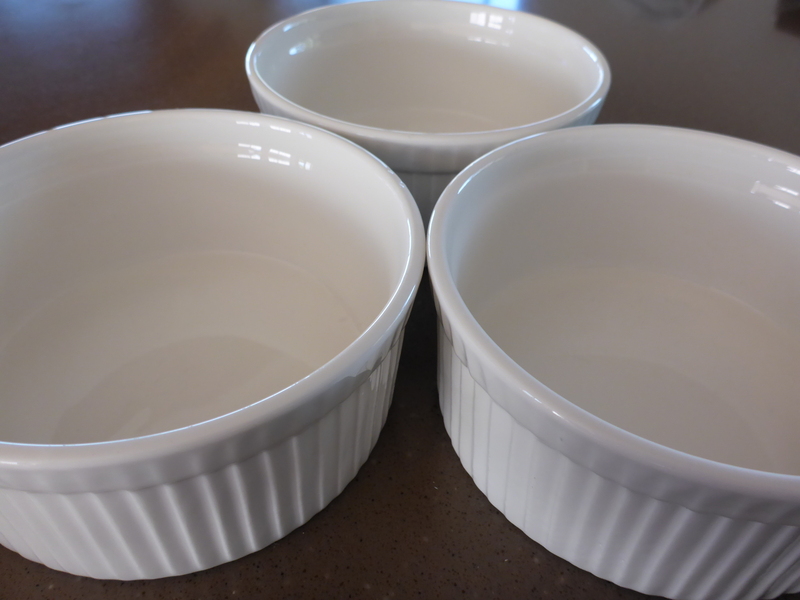 Warm 4 ramekin style bowls, fill with chicken mixture (don’t forget to remove the bay leaf!) and top with cooked pastry. Serve with your choice of vegetables. You can use other fresh herbs like Tarragon and chives to add different flavours. You can also use cider instead of wine for a more fruity flavour. 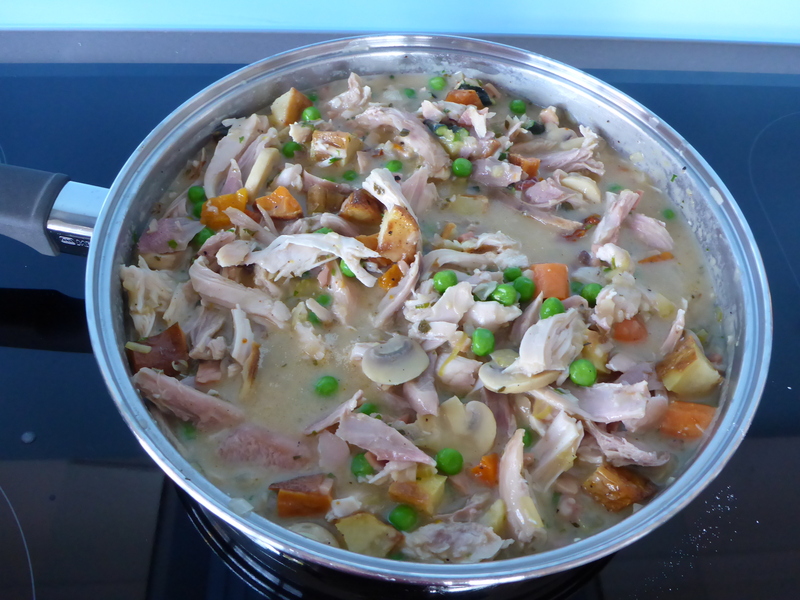 I am known for not letting anything go to waste so I often chop up leftover vegetables (roast, boiled) and add them to the mixture with the peas and chicken. 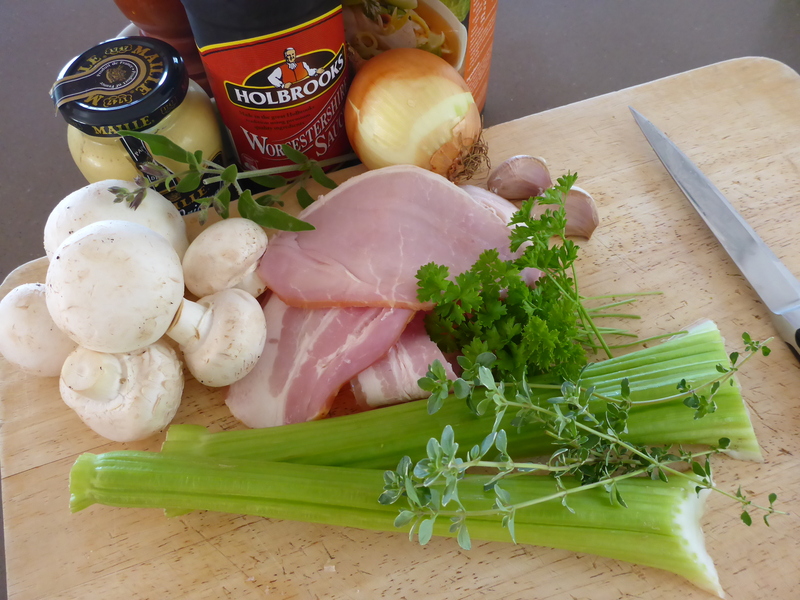 Adding the salt and pepper towards of the end of cooking helps you to season your mixture correctly as the bacon can be salty, as can the chicken stock. If you don’t want to top your mixture with pastry you can always top it with mashed potato (like a Shepherds Pie) and place under the grill to brown the top. 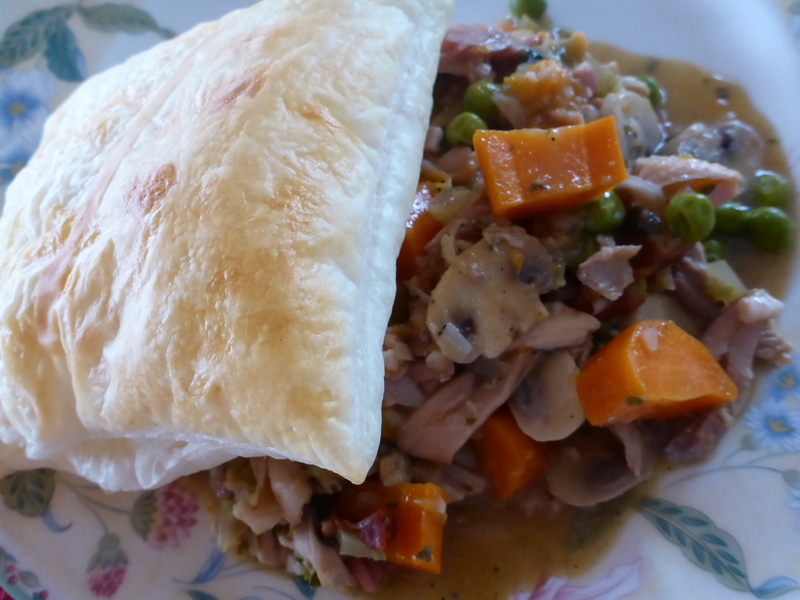 This entry was posted in Home, Leftovers, Recipes and tagged Chicken, Food, herbs, Leftovers, Pot Pie, Puff Pastry, Turkey. Bookmark the permalink. Thank you Maria. 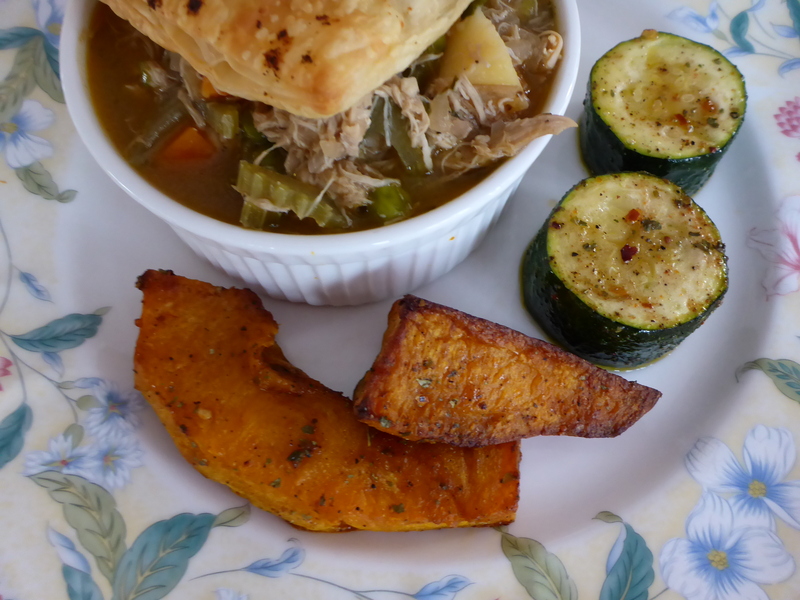 it always tastes good and is so versatile as you can add any leftover poultry or vegetables.